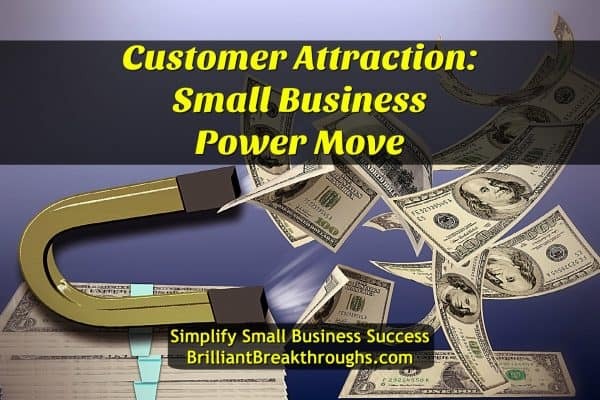 Customer Attraction: YOUR First Small Business Power Move - Brilliant Breakthroughs, Inc.
Did you know that customer attraction is the 1st Performance Power Move for business? Customer Attraction isn’t a new concept for Small Business Owners (SBOs). In fact is the oldest one there is! SBOs, read this article if you want to learn how to Boost YOUR Business Success. Successful SBOs are always focused on two things: delivering exceptional service AND attracting new customers to serve. Click here to learn all 5 Performance Power Moves. Customer Attraction is the lifeblood to YOUR Business. Without it, nothing else happens. Nothing – not even a sale! WARNING: Today, there are many people delivering a myriad of different strategies to attract customers. Many are not experts. They are keeping you in the minutiae of customer attraction instead of remembering why you are taking on said strategies. Why? Many of them aren’t practicing experts, have only been marginally successful, and will keep you focused on endless tactics instead of getting results. Buyers, please beware! For about a year now, it seems like the marketplace is saturated with many “How To” teachers and not enough “Why” teachers. I’m so glad that Simon Sinek’s message of “Start with Why” is starting to take hold. Why? Since 2008 I’ve been starting clients at the beginning of the process – their WHY. When they are able to define their WHY, they know what to do, and how to express it with attractive results! Why do you want to attract customers? Yes. All and any of these are appropriate! However, there’s usually one or two that are more important to you than all the others. This is WHY Customer Attraction is important to you. Understanding YOUR WHY – the purpose of your business and YOUR Business’ Vision, is the fuel to move you beyond your current circumstances. PRODUCTIVITY CAUTION: Sometimes we get too engrossed in the “how to” of get customers. When this happens, we forgot why we’re learning how to publish a book, conduct a webinar, network effectively, or even become an extra-ordinary blogger. What happens when you forget why you’re learning all these new strategies and tactics? You stop and simply give up once the going gets tough. And before you know it, you’re right back to the beginning of “I need more customers”, ultimately you find yourself seeking another approach! SBOs, please don’t lose sight of YOUR Customer Attraction Intention. Indeed, it will change over time as it should. It shouldn’t take second place to anything because without it, there won’t be anything else to focus on. Have you written down why customer attraction is essential to YOUR Business Performance? Please feel free to share what YOUR WHY is to keep you focused on Customer Attraction, for YOUR Small Business Success. Mine? It’s so my husband is able to work less hours. p.s. 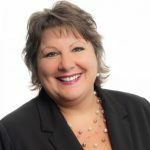 : If you’re in the Milwaukee area on the last Friday of the month, join us at Wisconsin Business Owners Lunch and Learn to learn about and practice client attraction with other Business Owners!